Search Engine Optimization Journal has recently launched a blogging section on their already established industry blog. Everybody these days seem to have their own definition of what search engine optimization is and how to go about it. But the truth is there is more than one way to achieve a well optimized website and generate quality traffic. Search engine optimziation has become a very important aspect to the survival of any organization who wishes to have a strong online presence. Out of all the many ingredients that go into a successful website launching a blog has become an industry standard. 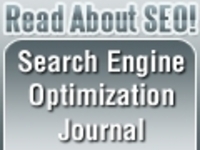 Search Engine Optimization Journal has recently launched a blogging section on their already established industry blog. Search Engine Optimization Journal has felt the need and the want for a well built resource that others can use as a guide, starting point or even a benchmark in order to maximize their knowledge on blogging. Blogging has become such an important and valuable aspect to an online business that more and more website owners are starting to dive into the world of blogging. Proper blogging takes a skill and knowledge, a skill that Search Engine Optimization Journal hopes to pass along to all of its loyal readers. A blog is only powerful once a company or business owner has figured out how to properly harness the raw power of a blog. Search Engine Optimization Journal will walk you through all the various aspects and supply the audience and readers with valuable industry tricks and tips. Start ups and small business owners who might not have the budget and resources will now be able to keep up with some of their industry leaders when it comes to blogging. This new section of the blog was built and designed so that not just the top industry bloggers would be the only ones visible and thriving but now also allowing the lower hanging fruit to be able to become visible in this fast paced moving industry. Search Engine Optimization Journal has realized that an industry leading free resource that allows true education to be passed along to readers is an extremely valuable resource. To many beginners entering the world of online marketing things can sometimes get extremely overwhelming. The idea of blogging to many business owners not up to date with the industry sometimes have a hard time putting their head around the idea so it is even more important to supply industry information that all levels of experience can utilize and understand. Search Engine Optimization Journal is a judgment free blog encouraging all industries whether large or small to come and filter through and read all the resourceful information that can help grow any business. Blogging is something that takes some time and experience. Search Engine Optimization Journal realized that many business owners heading into the online marketing industry will need a resource to go to that is up to date with all current blogging and online marketing information to guide them in the right direction. For more information please visit http://www.searchengineoptimizationjournal.com and visit the new blogging section of this website.